For those of you who don't know, Child Protective Services investigated Danielle and Alexander Meitiv multiple times for the crime of allowing their two children Rafi, 10, and Dvora, 6 to explore their neighborhood. Yes, busybodies can't stop calling 911 and wasting police time on an activity that was completely harmless 30 years ago. 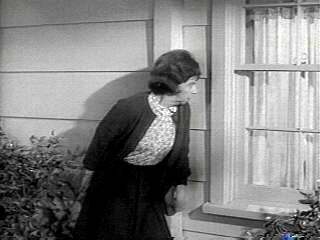 Check out the ridiculous 911 call from the male version of Bewitched's Gladys Kravitz. He says he is not with the children, just walking behind them. “I don’t want to scare them,” he says. Police picked up the Meitiv children again and detained them for over five hours. Their parents understandably freaked out when the children didn't return home. I get that "free range parenting," which used to be known as children playing in neighborhood 30 years ago, is a new-fangled, weird idea. But the status quo of locking children up and then expecting them to be fully functioning adults is destructive. Spare me the nonsense that times have changed and the world is a more dangerous place. It's not true. Not only that, but the assholes who are calling 911, which is reserved for emergencies only, are literally traumatizing families because of this ignorance and desire to shame those who don't conform to an unrealistic, dangerous, and overprotective parenting dogma. The best part of this whole mess? Mr. Meitiv grew up in the Soviet Union. Maybe our countries weren't so different after all!